This is a thought experiment, including possible re-enactment, to recreate the likely ‘final moments’ of an animal which later became a fossil. The activity provides examples of how to ‘run the fossilisation film’ backwards to help pupils to visualise what a fossil may have looked and acted like during life and in the few moments before death. 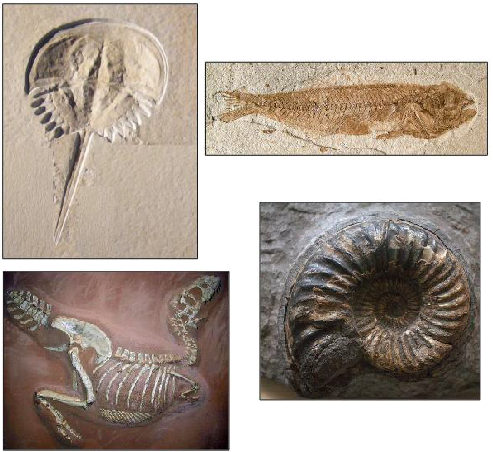 Many more fossil-related activities can be found on our website. ELI is publishing FREE Earth-related teaching ideas, designed to be practical resources for teachers and teacher-trainers all over the world. We publish new Earth Learning Ideas every two weeks. Some of these activities require the use of some basic school laboratory equipment and some include abstract ideas. We label these activities ELI+. Each activity is designed to create pupil participation for maximum learning. All activities are free to download and most require minimal cost and equipment. Best of all, they are fun!